Target has Disney’s Frozen Anna Character Apron for $14.99. 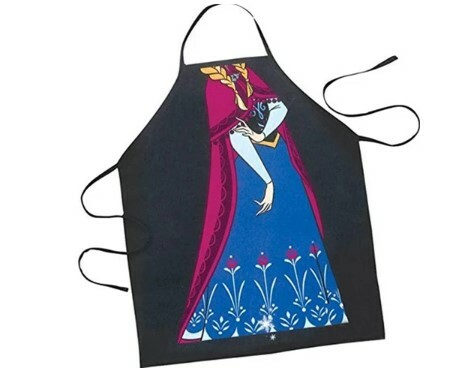 Cook like a true Disney princess with this officially licensed Frozen apron! This fantastic costume apron features Anna’s dress. Cook like a true Disney princess with this officially licensed Frozen apron! This fantastic costume apron features Anna’s dress. Great for outdoor BBQs or even just baking at home! Made of 100% Polyester. One Size Fits All. Machine Wash Cold & Tumble Dry On Low.